You must have the Local vintrace admin permission in your System user profile in the Address book to use the Import/Export utility. Go to Winery Setup > Sales > Sales Price lists. Click on the price list you wish to export. An CSV file is opened. 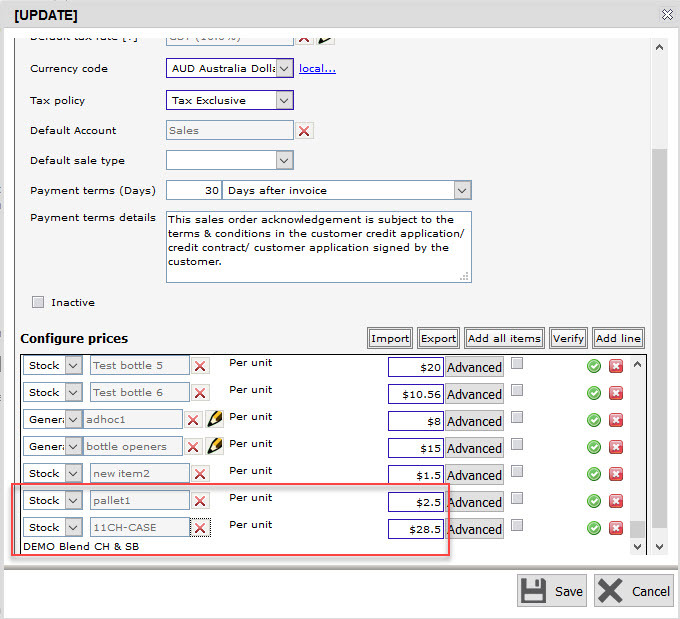 Export an existing price list. 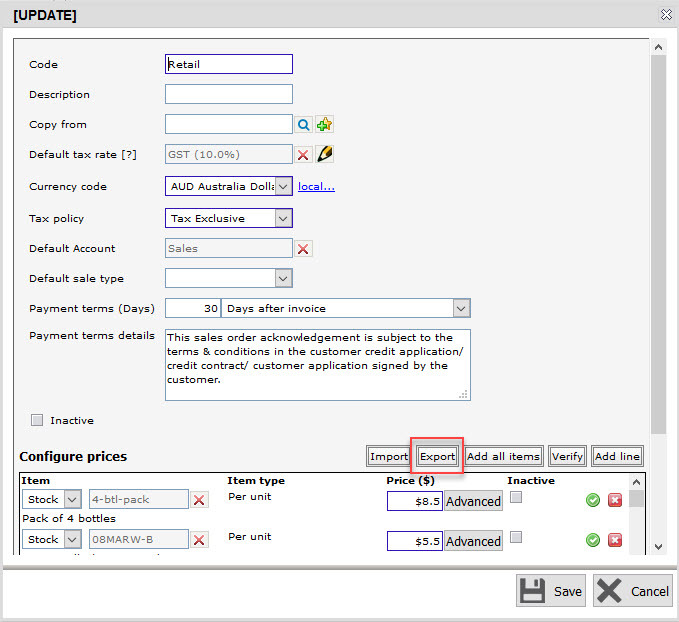 Edit the downloaded CSV to add new Items, change the Price, or update the Override tax rate. Save your edits. 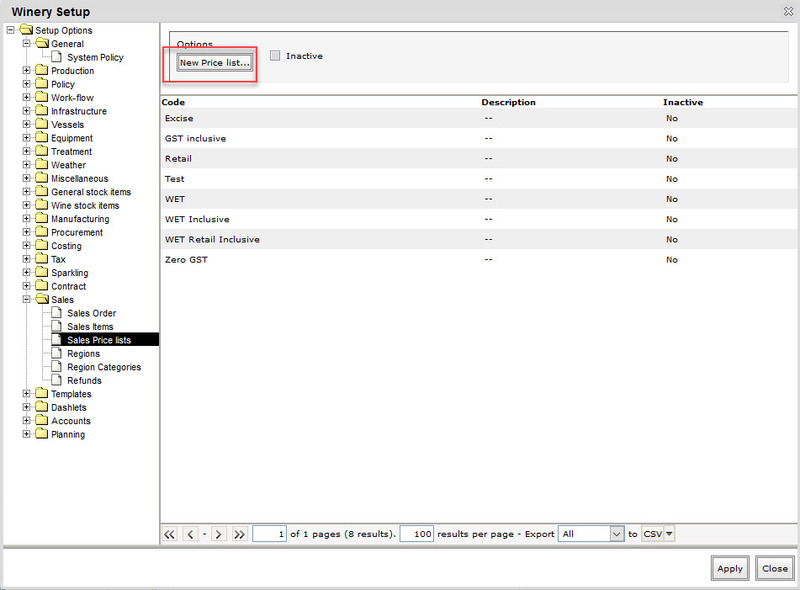 Reminder: as a csv, you may not have any special formatting, formulas, filters, etc. 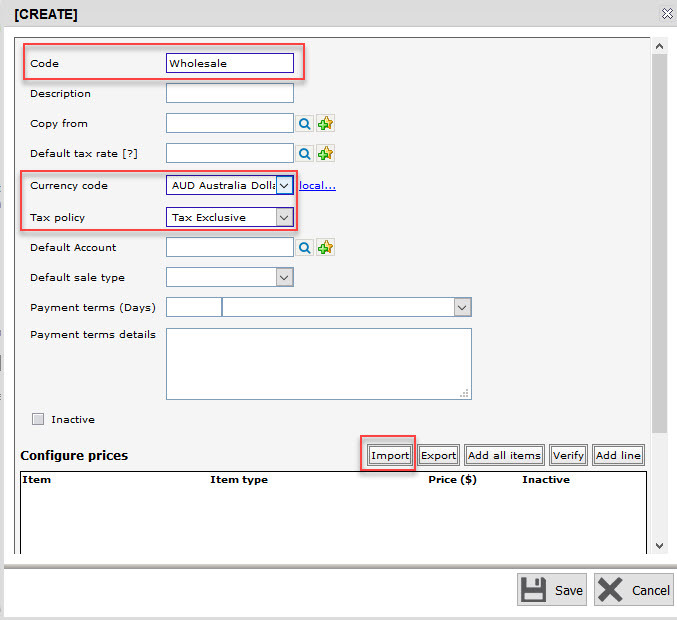 Enter the mandatory fields on your price list such as Code, Currency code, and Tax policy. 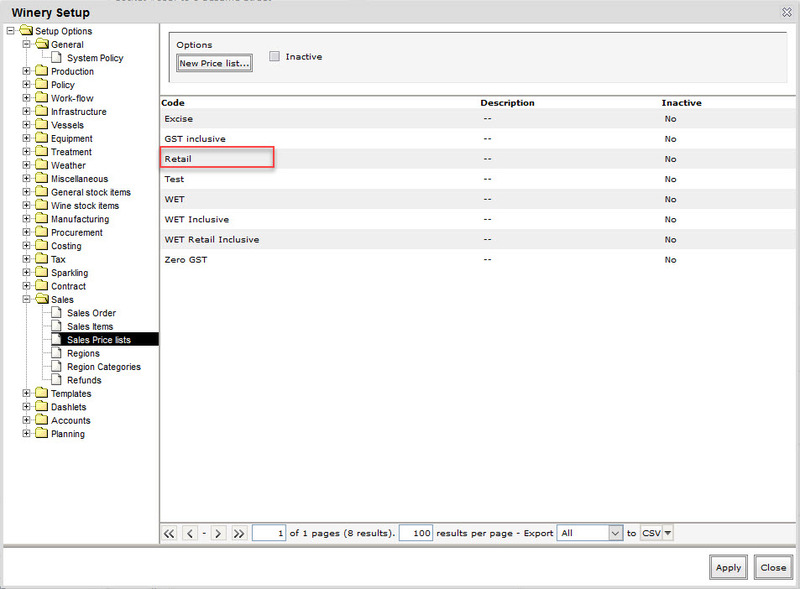 Select the file you want to import; click Import. 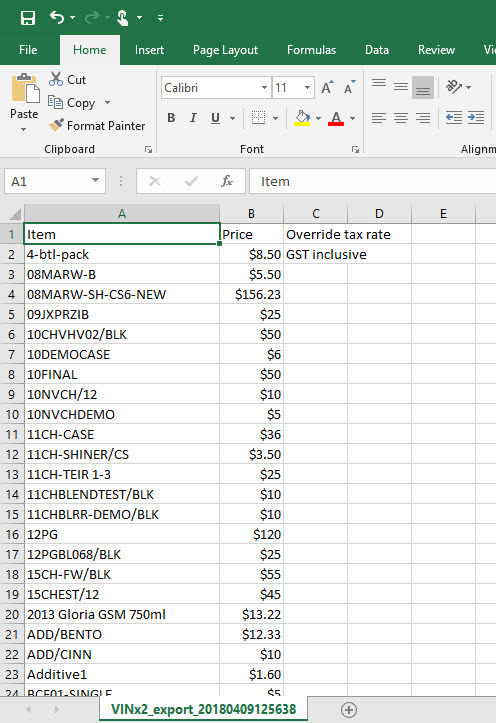 The items in your CSV file are imported into the new price list. 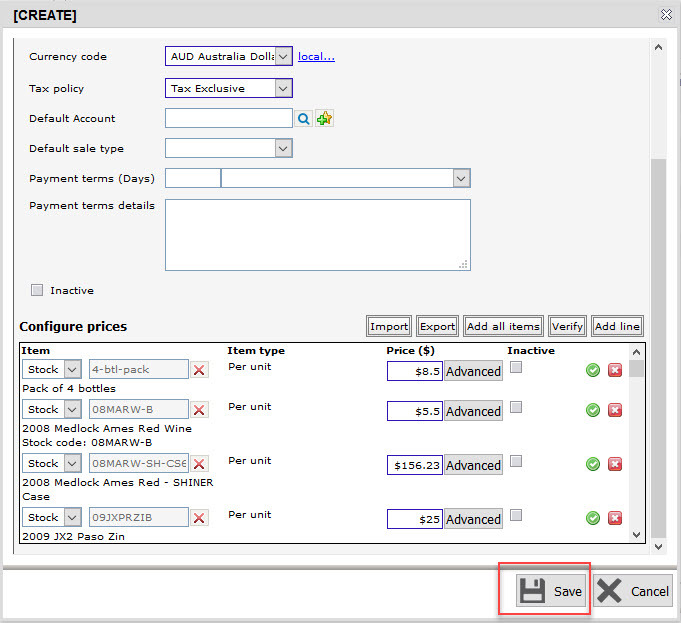 Edit the downloaded CSV and add new items on the list or update the price of existing items. 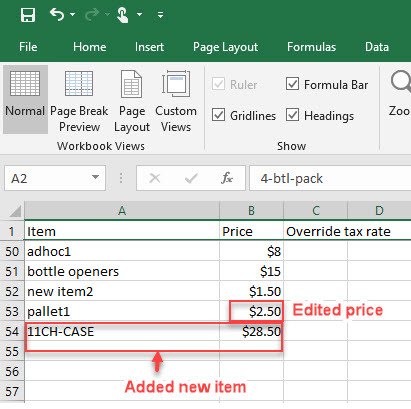 You can leave the existing items in the CSV without changing the prices; if you remove them from the CSV, don't worry - they won’t be deleted from the price list. 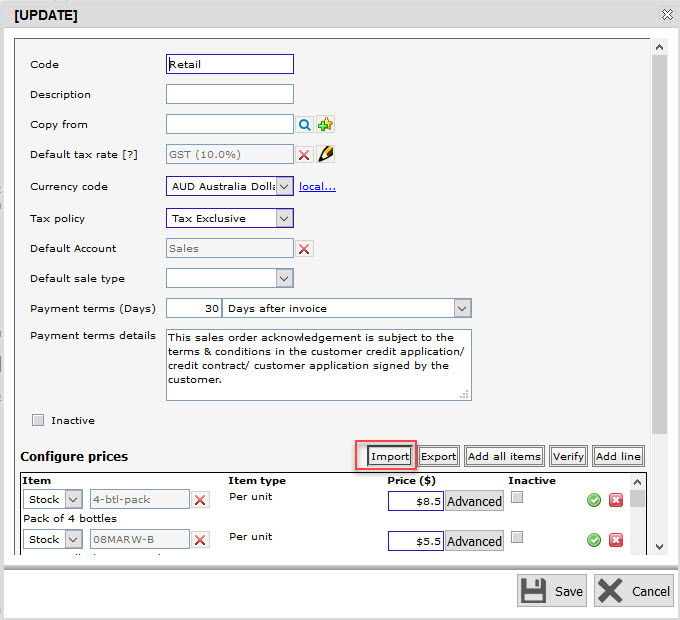 To delete an item from an existing price list, you have to manually delete it by clicking on the x button in the price list in vintrace. Click on the price list you want to import into. 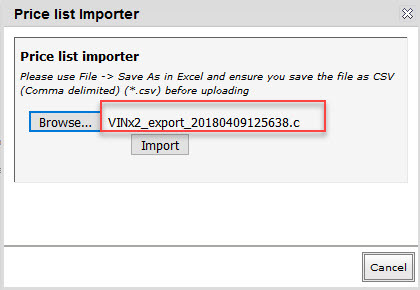 Select the CSV file; click Import. The price list is updated with the data from the imported file.